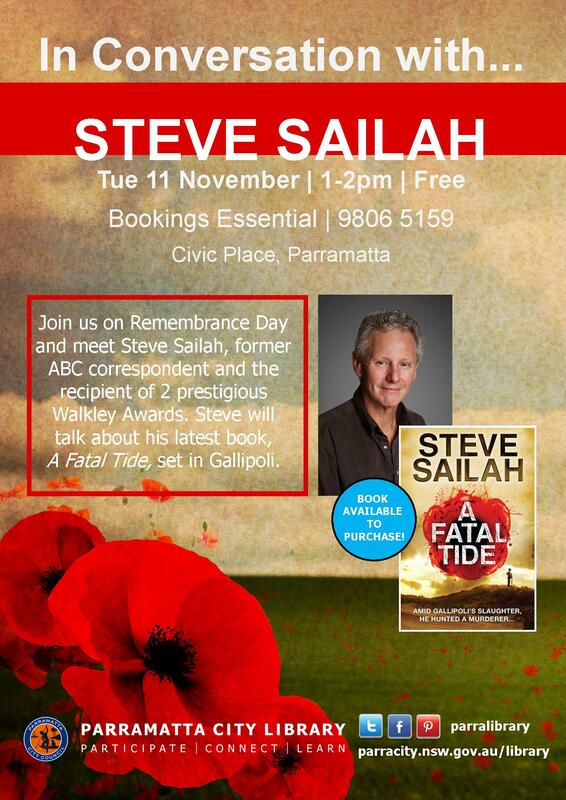 Join us on Remembrance Day and meet Steve Sailah, former ABC correspondent and the recipient of 2 prestigious Walkley Awards. Steve will be talling about his latest book, A Fatal Tide, set in Gallipoli. To book your place call 9806 5159. This entry was posted in Australian Authors, Author Visits and tagged A fatal tide, Author, Author Talk, Parramatta City Library, reading, Steve Sailah, Writer by admin. Bookmark the permalink.